Alroc cable tools are used by MV-HV jointers to remove cable screen and provide excellent cable preparation prior to the installation of joints, terminations or connectors using cold shrink, heat shrink or push-on type technology. 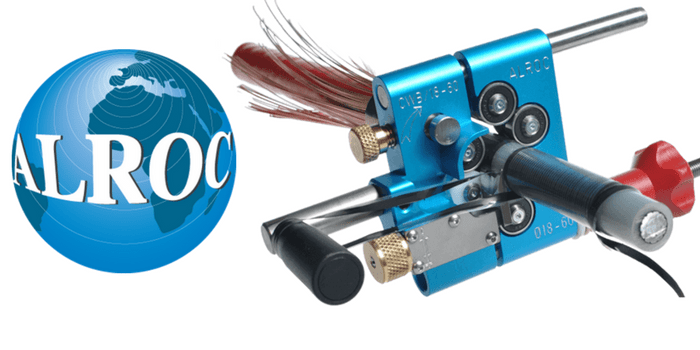 Alroc tools strip or remove outer cable sheath, semi-con screen and cable insulation from medium-high voltage cables with XLPE or EPR insulation: this includes semi-bonded, fully bonded or “cold strippable” core screens (also called “easy-strip”). “Correct removal of the carbon loaded semi-conducting screen from triplex extruded, polymeric insulated cable is the single most important factor controlling the service life of a cable joint or termination,” extract from E.ON Cable Jointing Manual. The semi-con screen layer of MV-HV cable construction provides a smooth transition from the cable insulation to the metallic screen – the screen layer of black cross linked semi conductive compound (approximately 1mm thick) is either fully bonded to the MV-HV cable insulation or can be manually removable “easy-strip” type. When cable jointing or terminating MV-HV cables the semi-con insulation screen must be removed using precision accurate jointing tools which consistently remove the screen layer without nicking, damaging or cutting into the cable insulation – providing effective electrical stress field control. Jointing tools leave a smooth tapered edge reducing MV-HV electrical stress formation at the screen cut transition joint. Failure to use correct jointing tools can lead to catastrophic cable failures at the connection interface of cables (straight joints) or at their ends (cable terminations) – core screen thickness and strippability varies from cable to cable manufacturer therefore it is essential for the MV-HV cable jointer to set the cutting blade of the cable tool to the correct screen cutting depth, this is usually tested on scrap cable lengths prior to jointing. MV-HV cable jointers must exercise caution as the 11kV-33kV screen termination is approached to ensure that the screen cut is square i.e. when peeling away the 11kV-33kV semi-con screen the cable jointer must ensure it follows the score mark at the screen termination. The marking of the screen cut position will be indicated in the relevant cable jointing instruction. The cable jointer should carefully examine the surface of the MV-HV cable insulation to ensure all black particles are removed – if required the cable can be abraded with fine grade aluminium oxide paper. Emery paper should not be used due to metal particle content. 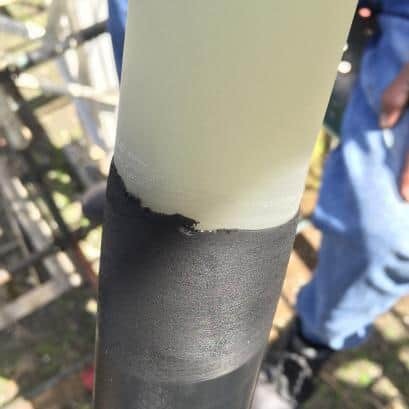 The surface of the 11kV-33kV XLPE cable insulation should be cleaned using a cable cleaning wipe. Note, the jointer should move the cable wipe away from the cable end towards the semi-con screen to remove fine particles on the edge of the cable screen, not on the insulation. ➡ For further information about Alroc cable tools for removing cable screen from MV-HV cables please see below.